It’s no secret that Coloradans love to imbibe. More than 10 percent of the nation’s craft breweries are found there, as are well over 100 wineries and about 50 distilleries. And while the state’s 1,600 independent off-premise retailers are happy to enjoy the fruits of this thriving industry, the state is also facing the biggest changes to its liquor laws since the end of Prohibition, leaving these small businesses wondering what’s next. Last year saw liquor stores face off with grocers that wanted to sell full-strength beer and wine. Senate Bill 197, passed in 2016, allows grocery stores that have one full-strength alcohol-sales license per chain to obtain as many as 19 more over the next 20 years if they buy out all licenses within a 1,500-foot radius. Over time, the bill could get rid of 3.2 percent beer entirely. The existing mandate that non-liquor stores sell only up to 3.2 percent beer—about half the alcohol content of many of Colorado’s craft beers—should be gone by 2019, the Colorado Department of Revenue says. Grocers with current 3.2 percent beer licenses would eventually be able to sell full strength beer, but no wine or liquor. SB197 is far from perfect, Dinsmore adds, “and we spent a lot of time cleaning up flaws—but it works.” He says the law protected the local liquor-store owner who happens to be right next to a Safeway from having Safeway quickly put them out of business. It also created value for some businesses, he adds, because a lot of them don’t have a succession plan. The compromise allowed local independent retailers who wanted to stay in business to stay in business; alternatively, it gave an exit strategy for those who wanted out. “It saved, truly, about 1,600 small businesses from their head getting cut off overnight,” Dinsmore says. 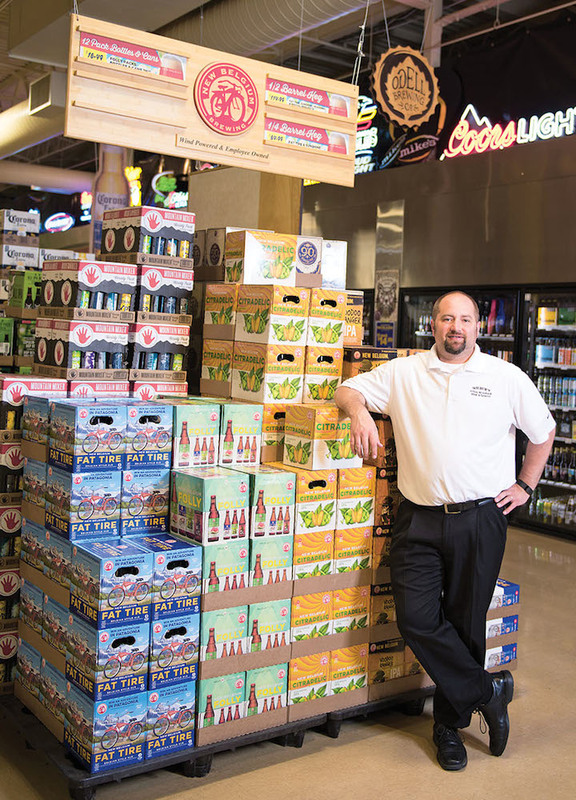 The state’s evolving liquor laws have kept these stores on their toes in terms of differentiating themselves among vast competition and creating a shopping experience they say grocers can’t replicate. 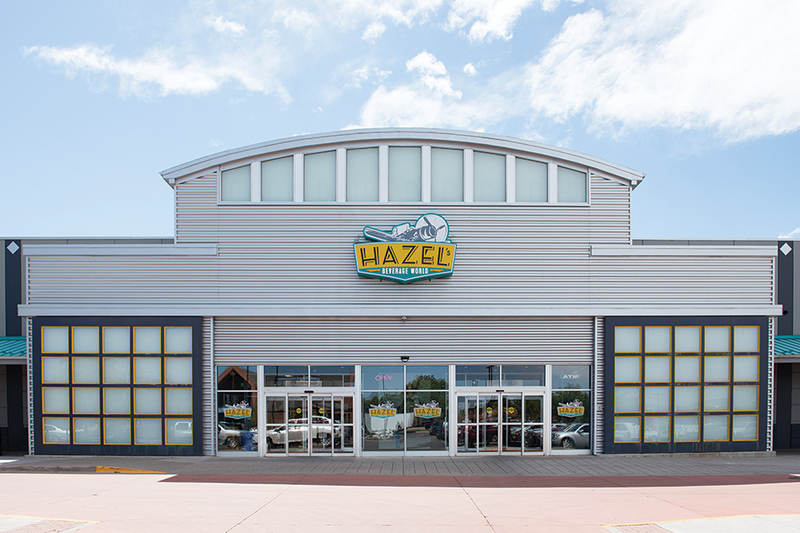 Hazel’s has 50 employees—48 full time and two part-time. 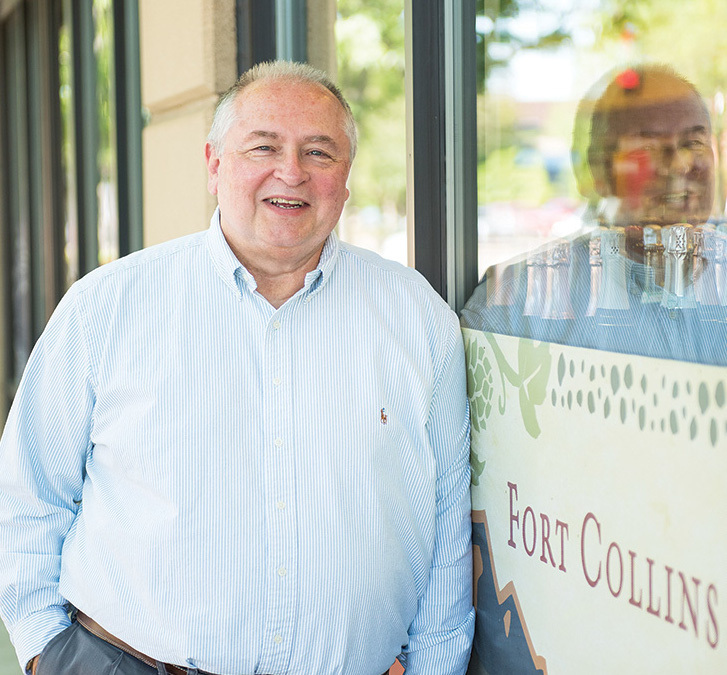 Chuck Carlson owns Mulberry Max in Fort Collins, Colorado, which opened in May 2015. Carlson had exited a decade-long role he had in another nearby store to start Mulberry Max, which boasts 10,000 square feet and about 5,000 SKUs. Carlson had previously worked in the information technology industry and says he simply found the idea of running a liquor store more fun. But he also knew important changes were coming from the state Capitol that could affect Mulberry. Carlson says his demographic area is skewed toward premium products, and while he does get CSU students, faculty and staff in this store, the bulk comes from older people who live nearby. Wilbur’s Dinsmore grew up in the industry and is a fifth-generation resident of Loveland, which is about 30 minutes south of Fort Collins. His father, Dennis, is celebrating 50 years in the industry this year, having started a couple other liquor stores before purchasing what became Wilbur’s about 15 years ago. The store is 25,000 square feet with 12,000 SKUs. In 2004, Dinsmore’s father started jockeying for space next to a new Whole Foods and ended up doubling the store’s square footage. In 2015, Dinsmore’s father retired—but it only lasted six months before he opened a Wyatt’s next to the new Whole Foods in Longmont. Dinsmore says he’s not looking to expand Wilbur’s at the moment, mainly due to the uncertainty surrounding the new laws. Hazel’s Beverage World in Boulder has been open five years, but owner Jimmy Dean has been in the liquor and grocery business for 50 years. He’s been exclusively in liquor for the last 19, he says, but he and his son still own a grocery store. Hazel’s has 50 employees—48 full time and two part-time. Despite the proximity of the University of Colorado–Boulder, which had almost 33,000 students in 2015, Dean doesn’t hire many students because he says they want to go home for the holidays—his busiest times. Dean’s employees get a 401(K) and two-thirds of their health insurance paid, and there’s a bonus program for every employee in the store. “We’re not GM or Toyota,” he says, “but we want to compensate them fairly for the job they do.” Boulder has more than 400 active nonprofit organizations, one of the densest in the nation, which gives Hazel’s plenty of opportunity to donate product or gift certificates to area events; the University of Colorado is one of its main recipients (founder Bruce Dierking is a CU alum). “We meet every Friday and review all requests,” Dean says, adding that he prefers to donate product rather than cash. The donation has the highest likelihood of creating a customer, Dean says, if someone has to enter his store to redeem the prize, such as a wine of the month for a year. “A lot of people won’t even buy Goose Island anymore because it’s owned by Anheuser Busch,” says Chuck Carlson, owner of Mulberry Max in Fort Collins. Dinsmore says he is seeing domestic sales sink, while craft has plateaued because consumers are scoffing at $20 and $30 bombers. “Odell and New Belgium sell great because they’re both in our backyard, and there is literally a new craft brewery opening on every corner,” he says. “I don’t think the sky is falling, but a lot of people are going out more.” He has also done well with Dry Town gin and vodka from Old Elk Distilling, which just opened in Fort Collins and is backed by the owner of OtterBox phone cases. Sarah Protzman Howlett is a freelance writer and editor based in Boulder, Colorado. A veteran of Condé Nast Publications in New York City, her work has appeared in O, The Oprah Magazine; Prevention; Denver’s 5280; and trade magazines across various industries. I don’t have a problem with mom and pop shop liquor stores. I grew up here in Fort Collins and moved away to California for about 17 years and we moved back. The problem I have is when I went to the Walmart in California I could buy Nee Belgium beer for about $4 to $5 less than I can buy here locally. I understand they buy in more bulk then a lot of the local liquor stores but isn’t it odd. How much profit is being made in us because we are forced to go to these liquor stores. Trust me in California liquor stores have no problem surviving when grocery stores sell too. It’s all political bull I think. It’s a money thing and they don’t want to loose their Cush life or have it tampered with.